Florida Governor Rick Scott recently vetoed a proposed law that would have drastically altered the duration of spousal support awards in the state. Senate Bill 718 would have ended permanent alimony following divorce and allowed individuals who are currently paying permanent spousal support to ask a family court to amend their required alimony payments. According to Governor Scott, he refused to sign the measure into law because it would have applied retroactively despite that the proposal included "several forward looking elements." He stated retroactive support adjustments would likely result in unfair results and unanticipated consequences. Governor Scott added that Florida law already provides for adjustments to alimony awards based upon the individual circumstances. The proposed law would have not only limited the duration of alimony awards in Florida, but also made it more difficult for spousal support to be awarded following a so-called short-term marriage of less than 11 years. The vetoed bill would have set the maximum length for an alimony award at half the length of a former couple's marriage and limited payments to no more than 25 percent of the payer's gross income. For marriages lasting between 11 and 20 years, the bill stated payments could not exceed 35 percent of gross income. In longer marriages, that limit would have risen to 38 percent. The measure also required a family court judge to award equal child custody except in extreme cases. Although the language of the proposed bill did not automatically end alimony payments upon a payer's retirement, it did allow a family judge to consider ending or eliminating spousal support payments at that time. During legislative committee hearings, emotional testimony was reportedly presented from both critics and proponents of the measure. The Florida Bar's Family Law Section, which lobbied against the bill, praised Governor Scott's veto. The vetoed law, introduced by Senator Ritch Workman, was passed by a margin of 29-11 in the Florida Senate and 85-31 in the House. In Florida, a family court may choose to award alimony following the end of a couple's marriage based on a number of factors. The length of the marriage, each former spouse's current financial situation, and the marital history may be taken into account. In addition, a family law judge in Florida may award spousal support on a temporary or permanent basis for a variety of reasons. In general, any alimony award issued in the State of Florida will be based on both the financial need of one former spouse and the ability to pay of the other. 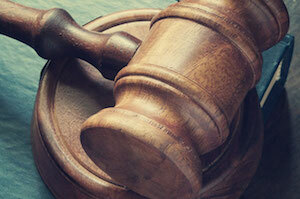 The steps required to obtain an alimony award can be confusing. If you are in the midst of a Florida divorce, you are advised to contact a skilled family law attorney to help you protect your rights. Because we understand that family is important, the hardworking lawyers at the Law Firm of Vilar Law, P.A. focus our practice exclusively on family law matters. 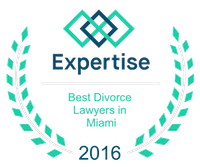 At the Law Firm of Vilar Law, P.A., our dedicated attorneys are here to help you navigate the often complex divorce process. Our experienced lawyers can also assist you with your other family law needs including legal separation agreements, child custody and support, equitable distribution, post-judgment enforcement and modification, prenuptial contracts, and more. The Law Firm of Vilar Law, P.A. represents clients who are located throughout the Miami Metro. To discuss your divorce or other family law matter with a caring advocate, please give attorney Patrick Vilar a call today at (305) 373-8000 or contact us through the law firm's website.